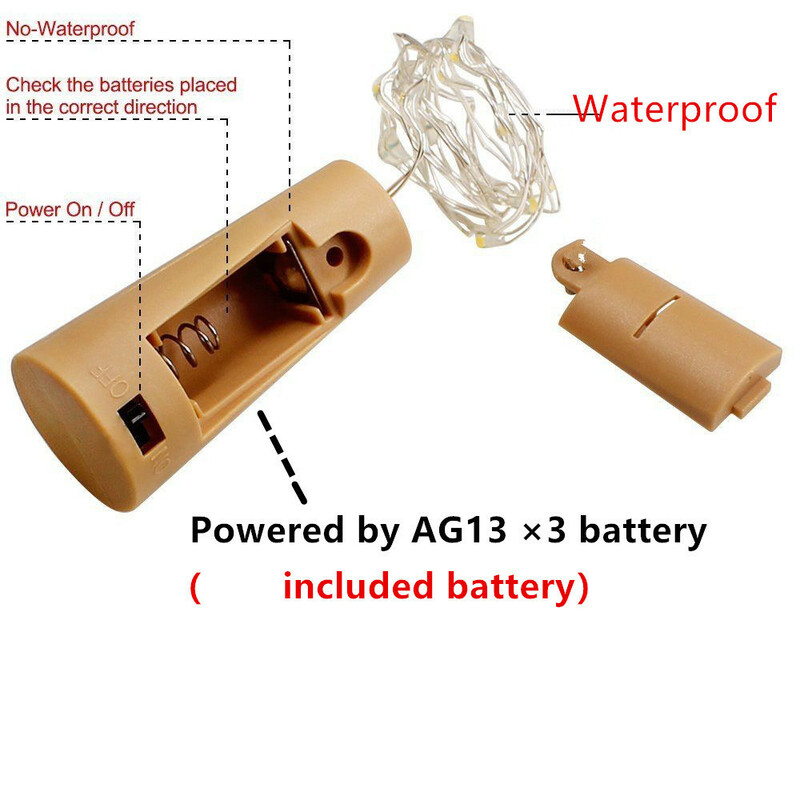 Safety: 2 meters of soft copper wire with 20 LED lights, not only can be placed in the bottle, but also long enough for indoor or outdoor decoration. Low noise and low heat dissipation, safety and no pollution. Enjoy DIY: Soft and tough quality copper wire can be made in any shape you want, the cork is suitable for a variety of bottles, these bottle lights will become a unique and beautiful decoration in your home. Battery operated bottle lights: Each of the cork lights is powered by 3pcs LR44 batteries ( included Battery), no need for power outlet, you can enjoy the fun of this mood light anywhere. Fantasticled lights create a warm, romantic and dreamlike atmosphere,perfect for parties, weddings, barbecues, Halloween, Christmas, plazas, gardens, indoor and outdoor decorations and more. This wine bottles string lights is also a good gift for your children, friends and family.